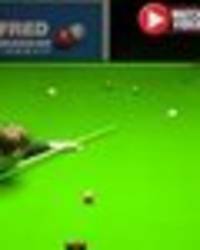 RONNIE O’SULLIVAN has been backed to win his sixth World Snooker Championship - but he faces stiff competition from two rivals. 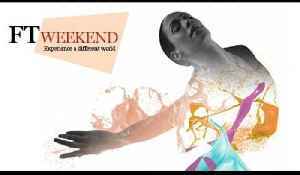 ▶ Videos for "Ronnie O Sullivan"
The Financial Times today unveils its largest global campaign to promote FT Weekend, its Saturday and Sunday edition. 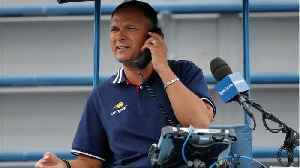 The campaign, titled 'Experience a different world', will run across TV, cinema,..
During a U.S. Open match on August 30, umpire Mohamed Lahyani gave Nick Kyrgios a pep talk. 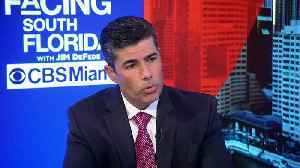 According to Deadspin, Lahyani told Kyrgios, “I want to help you.” His words raised questions as to..
RONNIE O’SULLIVAN’S opening opponent in the World Snooker Championship pre-empted a contest between himself at the world number one before the draw. 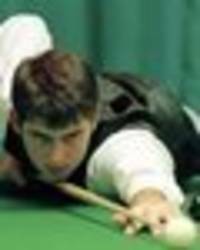 RONNIE O’SULLIVAN has drawn amateur player James Cahill in the first round of the World Snooker Championship – here’s what he can do. 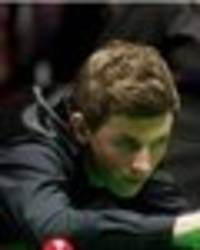 BBC Local News: London -- Five-time world champion Ronnie O'Sullivan will face amateur James Cahill in the first round of the World Championship at the Crucible. 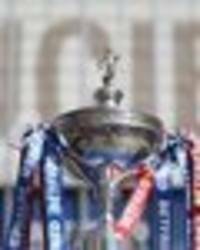 WORLD SNOOKER CHAMPIONSHIP DRAW: Watch live online the draw for Round One being made. 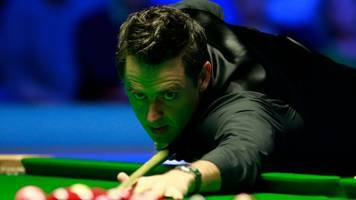 RONNIE O’SULLIVAN is the “toughest draw” in the World Snooker Championship - but James Cahill is eager to face the five-time winner in the first round. 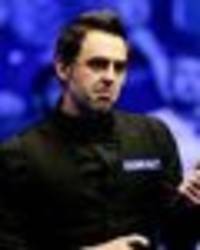 RONNIE O’SULLIVAN could struggle at the World Snooker Championship because of the length of matches. 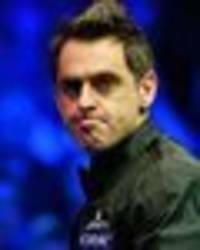 RONNIE O’SULLIVAN has hit out at his rivals claiming that being top of the world rankings means little if you can’t win the big tournaments. 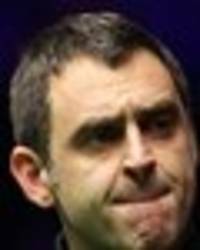 RONNIE O’SULLIVAN will look back and regret what he said about the snooker ranking system having now risen to become the No. 1 player in the world. 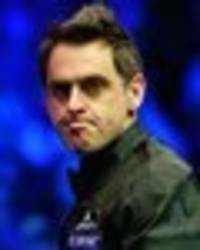 RONNIE O’SULLIVAN has admitted he’d rather be knocked out in the first-round of the World Championship than lose in the final. RONNIE O’SULLIVAN has been compared to a ROBOT after returning to the top of the snooker world rankings. RONNIE O’SULLIVAN has named the two snooker players that he thinks are the best that he has ever faced. 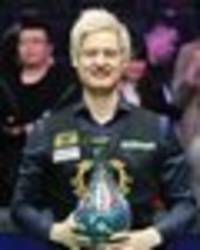 NEIL ROBERTSON says Ronnie O’Sullivan has helped him reach the top of his snooker game following his China Open triumph. NEIL ROBERTSON won the China Open today with an easy 11-4 win over Jack Lisowski - and it means he will now avoid Ronnie O'Sullivan at the World Championships. 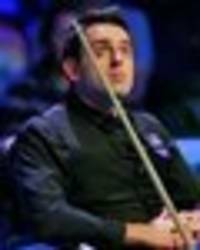 RONNIE O’SULLIVAN is undoubtedly the greatest snooker player ever to pick up a cue. 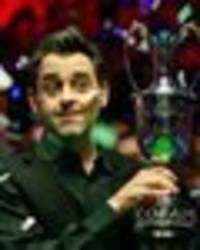 RONNIE O’SULLIVAN has admitted that being called the “Roger Federer” of snooker is a nice feeling, especially when his fellow peers are calling him that. RONNIE O’SULLIVAN has signed a new three-year deal with Eurosport that will see him provide snooker analysis for fans at this year’s World Championship. RONNIE O’SULLIVAN has revealed the only man to “ever out hustle me on a snooker table”. 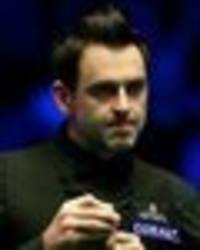 RONNIE O’SULLIVAN will remain world number one after Mark Selby crashed out of the China Open at the first hurdle. 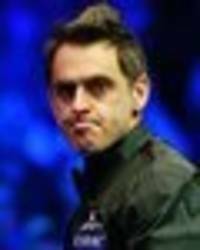 RONNIE O'SULLIVAN may be nearing the end of his career - but one man who knows him very well suggests he isn't close to retiring. WILL Ronnie O'Sullivan have enjoyed the 'greatest season of his career' should he win the World Championships next month? 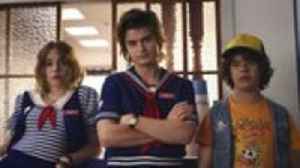 RONNIE O’SULLIVAN wants darts legends Phil Taylor and Raymond van Barneveld back out on the circuit entertaining fans. 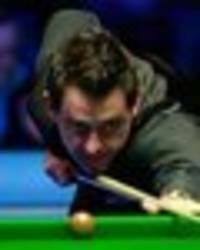 RONNIE O’SULLIVAN intends to relax in style ahead of the World Championship, rather than work himself to the bone playing and practicing constantly. 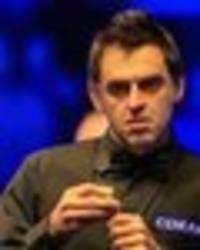 How well do you know Ronnie O'Sullivan: Do you know these facts about snooker's star man? RONNIE O'SULLIVAN is one of snooker's star men - but did you know these facts about 'The Rocket'? 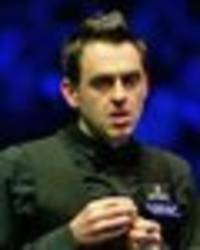 RONNIE O’SULLIVAN might be back at No 1 in the snooker world rankings - but how does he fare in the kitchen? 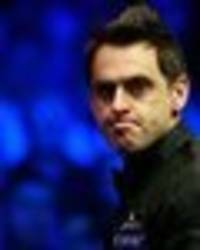 RONNIE O’SULLIVAN could pass the £1m prize money mark by the end of the current snooker season. 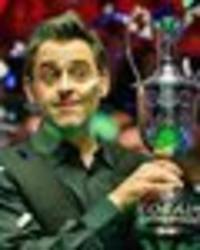 RONNIE O’SULLIVAN deserves to finally earn a nomination for the BBC Sports Personality of the Year award. 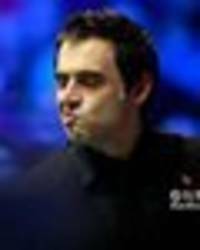 RONNIE O’SULLIVAN says he can’t wait to get knocked out of the World Championships - claiming he’s ‘no lover’ of the Sheffield tournament. 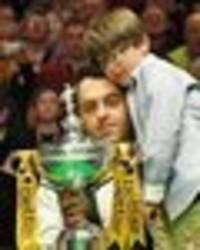 Ronnie O’Sullivan: 36 titles, 1000 centuries, No1... but what means MOST to The Rocket? 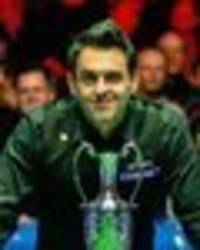 RONNIE O’SULLIVAN has continued to break records and reach milestones this year, and last night’s Coral Tour Championship triumph added another. 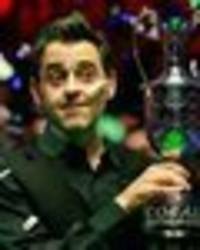 RONNIE O’SULLIVAN clinched his 36th ranking title last night by beating Neil Robertson in their epic showdown in the Coral Tour Championship final. 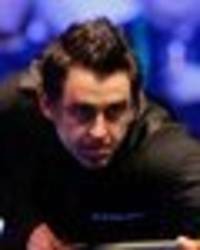 RONNIE O'SULLIVAN believes his career is completely different to fellow snooker legend Stephen Hendry's. 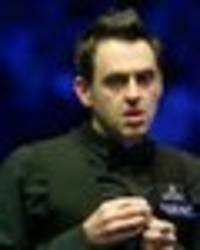 RONNIE O'SULLIVAN became world No.1 for the first time since 2010 by beating Neil Robertson 13-11 in yesterday's Tour Championship final. 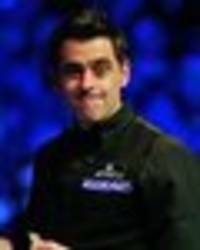 RONNIE O'SULLIVAN admits he is not fazed by being repeatedly snubbed for the Sports Personality of the Year award. 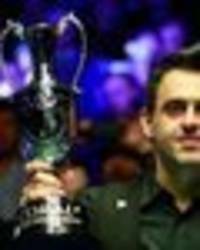 Five-times world champion Ronnie O'Sullivan reclaimed the world number one spot for the first time in nine years by winning the inaugural Tour Championship against Neil Robertson on Sunday. 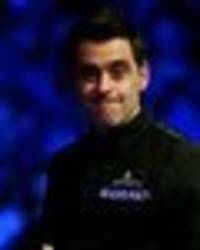 Ronnie O'Sullivan becomes world number one for the first time since 2010 with victory over Neil Robertson in the final of the Tour Championship. 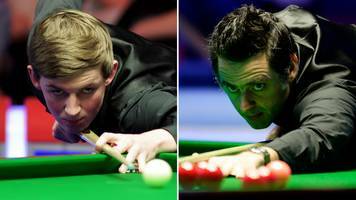 RONNIE O’SULLIVAN beat Neil Robertson to win the Tour Championship tonight - and he’s already predicted who will win the world title. 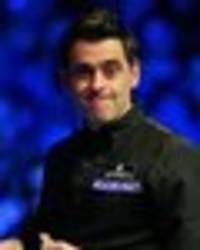 RONNIE O’SULLIVAN has returned to the top of the snooker world rankings for the first time since 2010. 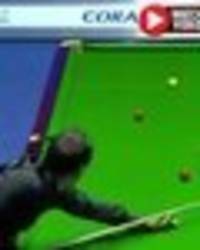 RONNIE O’SULLIVAN left fans in disbelief after pulling off an outrageous fluke shot. 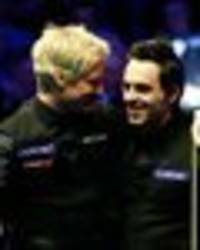 RONNIE O’SULLIVAN gave Neil Robertson “a clue” of his frustration in the Tour Championship final.